Free agency left the depth of the Pittsburgh Penguins’ blue line pretty bare last week, as Trevor Daley, Ron Hainsey and Marc Streit all left in free agency. But heading into 2017-18, general manager Jim Rutherford couldn’t be more confident in his defensive core. 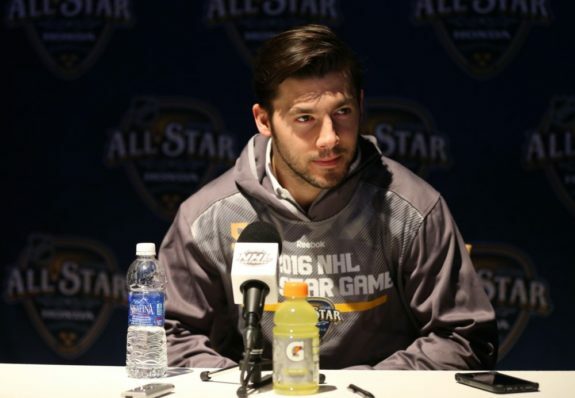 Of course, getting back Kris Letang will exude confidence in anybody. After seeing his team repeat without him, Letang is itching to go and should be ready by the beginning of the season. But the excitement the Penguins have for their blue line goes beyond the return of Letang or even the contract extension for Justin Schultz. On July 1, Pittsburgh agreed to a three-year deal with 32-year-old defenseman Matt Hunwick. As long as the Penguins come to terms with restricted free agent Brian Dumoulin, Hunwick will be slotted as their No. 6 defenseman in a completely healthy lineup. Hunwick comes to Pittsburgh from Toronto, and ironically, Hainsey signed in free agency with the Maple Leafs. That makes it easy to somewhat view the addition of Hunwick a trade to replace Hainsey, but in actuality, it would be more accurate to say Hunwick has Daley-like numbers. At 32, Hunwick is about the same age as Daley (a year younger to be exact), and while Daley had a great run with Pittsburgh, the former Maple Leafs defenseman posted superior analytics last season. Hunwick recorded a 49.1 Corsi For Percentage and negative-2.1 Corsi For Relative Percentage in 2016-17. While that’s not exactly lighting the house on fire, Daley owned a 46.1 Corsi For Percentage and negative-5.5 Corsi For Relative Percentage this past season. The other advantage Hunwick will have over Daley is health. Daley gutted through the playoffs with numerous injuries after playing just 52 games during the regular season. He ended the 2016 postseason hurt as well. Daley will turn 34 in October, and while it would have been nice to keep him in Pittsburgh, finishing each of the last two seasons banged up from playing so many games had to be a cause for alarm. Hunwick supplies a lot of what Daley did, is less of a liability and comes at a cheaper price. Pouliot has been under heavy scrutiny the last two years for failing to live up to his lofty expectations. Part of that can certainly be the fault of Pouliot, but a lot of his criticism comes from A) Olli Maatta being a part of the same draft class and becoming an NHL regular at 18, and B) the fact the Penguins have no other first-round picks over the last five years. As a fanbase with no other top draft picks to second guess, why not go extra hard on the criticism of Pouliot? Yet Rutherford is smart to realize he’s still only 23. Not every defender is going to be Letang or Maatta and immediately make an impact. Others take years to develop, and it would be unwise to give up on a player with such a high ceiling that costs very little. After getting demoted to the AHL, Pouliot tallied seven goals and 23 points with a plus-18 rating in 39 games. He is a prototypical strong puck-moving defenseman that Pittsburgh always loves, and his offensive skill makes him a candidate to run the power play one day. 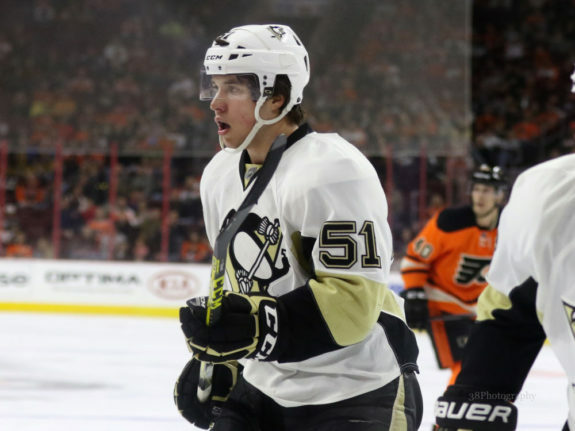 Ample Playing Time for Hunwick & Pouliot? 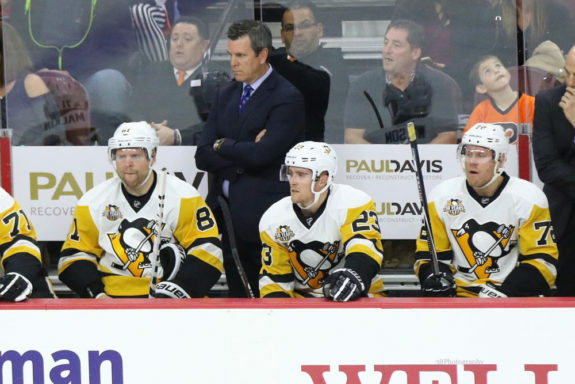 With a completely healthy lineup, Penguins head coach Mike Sullivan could pick his poison before every single game. If he wants a steadier presence at the back end, Hunwick is the better choice to start, but should Pittsburgh need more offensive firepower, Pouliot would be the guy. Of course, that’s assuming everyone on the Penguins blue line is healthy. It seems like the last time that was the case, Jaromir Jagr was still in his thirties. This past season, Pittsburgh had eight defenders play at least 15 games, and seven guys dressed for more than 30. There’s a good chance both Hunwick and Pouliot will each play a decent amount in 2017-18. With polar opposite defenders vying for the sixth spot, the Penguins have options. And if Letang isn’t ready at the beginning of the season or should any of the team’s top five defenders get hurt during the year, the Penguins have a capable seventh and even eighth defenseman waiting his turn.